A Case of Cause and Fatal Effect? Kimani Gray was either the villain or a victim. If you’re a young Black or Latino male living in New York City, your color makes you a suspect and suspects get stopped and frisked. Some get dead. 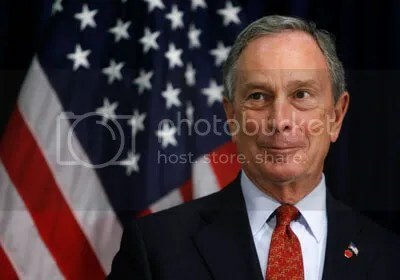 Can I say for a fact the heavy-handed Stop and Frisk policy of the New York City Police Department that carries the blessing of Mayor Michael Bloomberg is a contributing reason to why Kimani “Kiki” Gray is dead after being gunned down by two undercover cops? No, I can’t say that. What I can say is when the police are given a blank check to stop whomever they want for whatever reason they want, they will abuse the policy and when people are always considered a suspect eventually one of them is going to get hurt. Kimani ‘Kiki’ Gray was shot several times by two officers patrolling East Flatbush in an un-marked car around 11:30 p.m. Saturday night. According to the NYPD’s account, the officers spotted Gray standing with five other young males in front of a home at E. 52nd St., near Tilden Ave. As the officers approached, Gray separated from the group and adjusted his waistband in a manner the officers deemed suspicious, the department says. “After the anti-crime sergeant and police officer told the suspect to show his hands, which was heard by witnesses, Gray produced a revolver and pointed it at the officers, who fired a total of 11 rounds, striking Gray several times,” Paul J. Browne, the chief spokesman for the Police Department, said. Gray was taken to Kings County Hospital where he was pronounced dead. The officers–one a veteran of eight years, the other a veteran of five–have not been identified. They have been placed on administrative duty while the shooting is investigated. The kid was “adjusting his waistband” and he “produced a revolver and pointed it at the officers.” What’s the problem here? Sounds like an open-and-shut case. The cops did their jobs and a thug is pushing up daisies. Next! Following Gray’s death there have been protests and clashes with cops. But the devil is always in the details and some of the details don’t line up with the official version. Tishana King claims to have watched the entire scene unfold from her window. She told the Daily News she is “certain [Gray] didn’t have anything in his hands” when he was shot. A police source told the Daily News the officers who killed Gray initially reported to supervisors that he pulled a gun. King gave a tape recorded interview to the NYPD hours after the shooting and never mentioned the teen possessing a firearm. A .38-caliber Rohm’s Industry revolver was found at the scene. Multiple witnesses have claimed Gray begged not to be killed. Eventually, I can accept the truth. It may take me a while before I do and I’ll get there after kicking and screaming all the way, but even when it ticks me off, I’ll accept the truth no matter how unpleasant it is. In Mike Bloomberg’s New York, if you’re young and Black you’re guilty of something until you prove you’re not. Kimani Gray was young, Black and now he’s dead. That IS the truth. Is the mayor more worried about Big Gulps or bad shootings? Who was Kiki Gray? It depends on who’s asking the question. When it’s his friends Gray is just another 16-year-old hanging on with his boys smoking some marijuana when the cops roll up and the drama starts. There are reports in the New York Daily News that Gray might have been a member of the Bloods. There is a video of a teenager who looks like Gray seen taunting and slapping a rival Crips member. There are two problems with this. The first is a lot of kids look just like Gray. The second is even if Gray was in a gang, did those cops know that before they shot him? This is exactly what is wrong with these “official investigations.” The names of the cops haven’t been revealed. What’s in their personnel files? Have they ever been involved in any shootings before? Gray may not have been an angel, but what dirt is under the fingernails of the guys who killed him? The NYPD’s official policy is one of intimidation, harassment and confrontation. Did Gray run because he was afraid of being stopped and frisked while he was carrying a gun? Did he compound the mistake by pulling the gun and pointing it the cops? The NYPD and the newspapers are saying that’s exactly what he did and that’s why he’s dead now. Eyewitnesses tell a different story. Whose version of events will be the final one? You’re not under arrest, but you are under suspicion. We already know that answer, don’t we? In a surveillance society where a large portion of your population are permanent suspects the policy of Stop and Frisk can be the cause with fatal side effects. March 14, 2013 — The NYPD is set to record its 5 millionth stop-and-frisk encounter under Mayor Bloomberg today, according to an analysis by the New York Civil Liberties Union based on an extrapolation of Police Department data. The NYPD have stopped the citizens of the city they are charged with protecting over 5 million times. That’s more than the combined populations of Baltimore, Boston, Denver, Detroit, Pittsburgh, San Francisco, Seattle and Washington, D.C.
That’s something to think about. In a city where the color of your skin constantly makes you a suspect it’s easy for a routine stop-and-frisk to escalate into a fatal encounter. You might be right about that, but it’s no reason for a kid to be shot seven times in the back either. He was leaving a BABY SHOWER. Rest in Peace Kimani. He had the face of an angel and these racist trolls want to always assume a black kid is doing something wrong, that they deserve to be murdered…its another Travon Martin. All he did was walk down the street and adjust his belt. Witnesses said he had no weapon and begged for his life. Most residents of Brooklyn, Queens and the Bronx have been stop/frisked whatever your race- they target the young, the dirty, the queer, and any minority they see. I know because it happened to me in a good neighborhood. The compstat quotas need to be turned in by the end of the month and mine was on the 29th. I know I could have been shot by jump out boys for just walking down the street if my bet was loose and I was just a little more masculine and a little less nerdy. This simply must end. There is no justification for Stop-and-Frisk, none. There is no justification for another dead child, none.